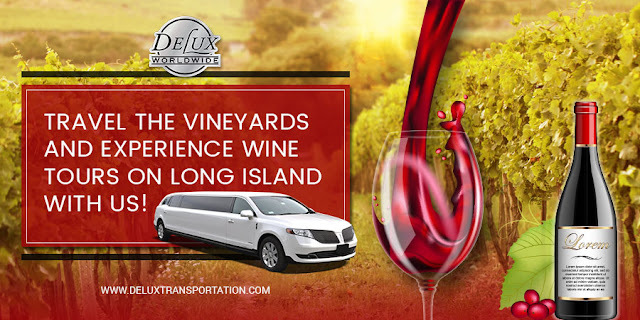 TRAVEL THE VINEYARDS AND EXPERIENCE WINE TOURS ON LONG ISLAND WITH US! New York City is brimming with activity at all hours. It’s well known for its shopping, nightlife, theaters, restaurants and legendary atmosphere. But for something a little different, how about a trip to the vineyards! Our wine tours long Island service is a fantastic way to spend the day or make it a weekend. Delux Worldwide Transportation’s luxury limousine service will get you there in style? We know that it can be hard to get everyone together for a weekend reunion or event, so arrange your New York Airport transportation with us and relax. You and your guest can be confident that our luxury limousine service will supply comfort and reliability. We’ve rounded up some of our favorite vineyard and wine tasting sports on Long Island, see you soon! 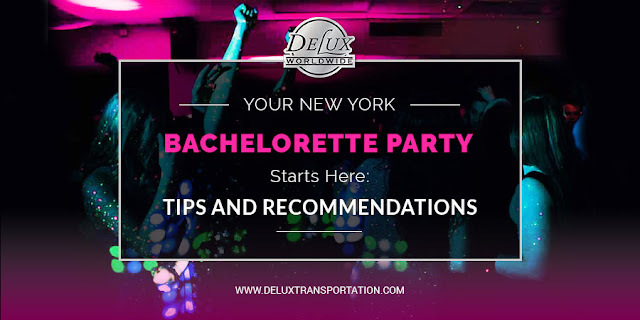 You've decided on a New York bachelorette party, now the fun really begins! Thousands of brides to be choose to make it a weekend when planning their last nights single. It's important to plan all destinations ahead of time and choose reliable and professional transportation that will arrange all logistics. We've put together some of New York's best hotspots and top tips to plan an unforgettable trip. Be sure to plan, plan, plan! Make sure you have everything in place from transportation to guest lists and reservations, that way you have more time to party and won't waste precious moments hailing a cab to an undecided destination. The most professional service and seamless trips come from meticulous planning.